Investors are seeing turmoil in the capital markets and a decline in US interest rates, including at the short-end. Some are suggesting that market has become less confident of Fed hike next month. Our work suggests this is premature and the Fed funds futures market continues to nearly fully discount a hike at the conclusion of the FOMC meeting on June 13. The implied yield of the June Fed funds futures contract fell from 1.8450 on May 8 to 1.8075% today. 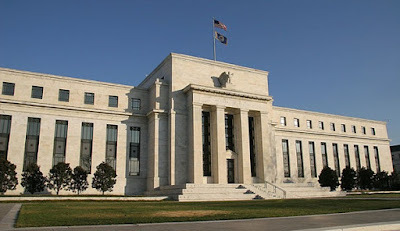 However, this largely reflects the technical adjustment that the Fed announced in the statement after the May meeting. It indicated that it would lower the rate it pays on reserves from the top end of the Fed funds target range to a little (five basis points) within it as a way to maintain control of short-term rates. The Fed Funds effective rate has been averaging 1.70% since the March hike which lifted the Fed funds target range to 1.50%-1.75%. The Fed's action is expected to push the effective Fed funds rate a few basis points lower relative to the range following the next hike. Here is our calculation: Until the FOMC meeting concludes, Fed funds continue to average 1.70%. That covers the first 13 days of the month. If the Fed hikes rates on June 13, we assume Fed funds will average 1.90% (rather than 1.95%) for the following 15 sessions. On the last business day of the month, June 29, we anticipate a 10 bp drop in the effective Fed funds rates, reflecting the typical end of the half year adjustment. When add the sums and divide by 30, the average effective Fed funds rate is 1.806%. The June contract is currently trading hands at 1.81%. The July Fed Funds futures contract implies a yield of 1.89%. Where the market does seem less sure is with the hike after June. Assuming that the Fed is successful--that lowering the interest rate that it pays on reserves will drive the effective rate, a hike in September would produce an effective Fed funds rate of say 2.15%. The October Fed funds futures contract currently implies a 2.025% average rate. This is the lowest rate since April 6. The markets are not reacting to the US stock market gyrations. The S&P 500 is near the middle of the this year's range. It 1% gain year-to-date- is the second-best performer in the G7 here in 2017, lagging behind France's CAC 40, which is up nearly 2.5%. Rather, investors are reacting to rise of systemic risk emanating from Europe. Short-term dollar rates have fallen, but this seems to be a function of liquidity--flight to safety--rather than driven by shifting conviction over Fed policy. 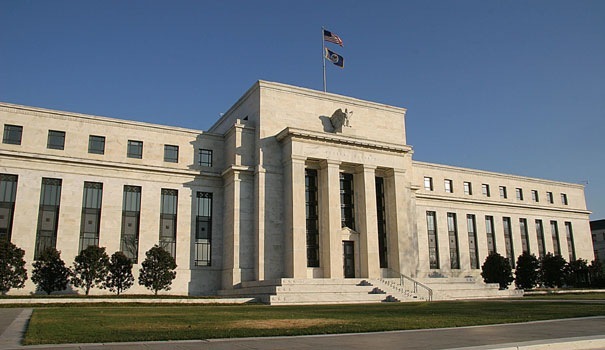 That said, following the release of the minutes of the May FOMC meeting, the market understood the Fed was not ready to signal an acceleration in its gradual pace despite the risk inflation rises above target and the fiscal stimulus that is in the pipeline. The market turmoil has seen investors trim expectations for other major central banks. Investors have shaved the likelihood that the ECB begins hiking rates in the middle of next year. The market has pared the odds of BOE rate hike in November. The Bank of Canada meets tomorrow, but the market has long played down the chances of a hike. However, recently investors have downgraded the chances of a July move. At the start fo the month, interpolating from the OIS curve showed nearly a 72% chance that target would be higher than the prevailing 1.25%. The odds are now seen closer to 55%.